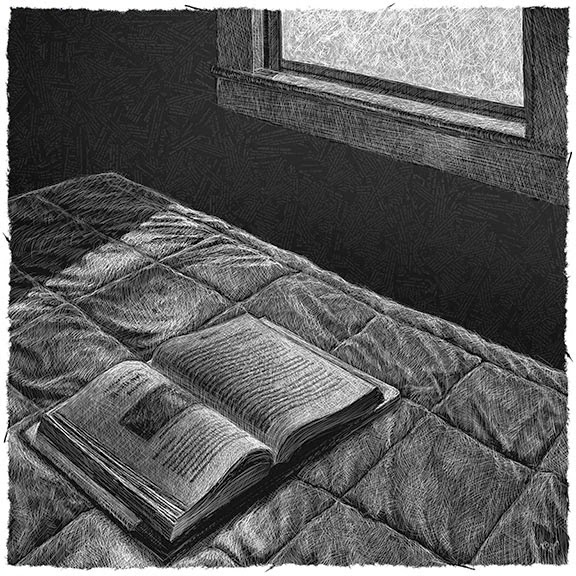 A tribute to my friend James Teeling, an author who has published his first novel, "The Star seers of Elidden", available through Amazon.
. . . and another scratchboard drawing, or is it a clever segue into the digital world? This piece of art differs from the last few drawings in that it was created using Photoshop and a Wacom Intuos4 tablet. The image you see here is much reduced from its original file size. An archival print at 32" x 32" is available for $292. Payment can be made using PayPal, and delivery is generally in one week. I'd love to hear from you if you're interested in owning a print.